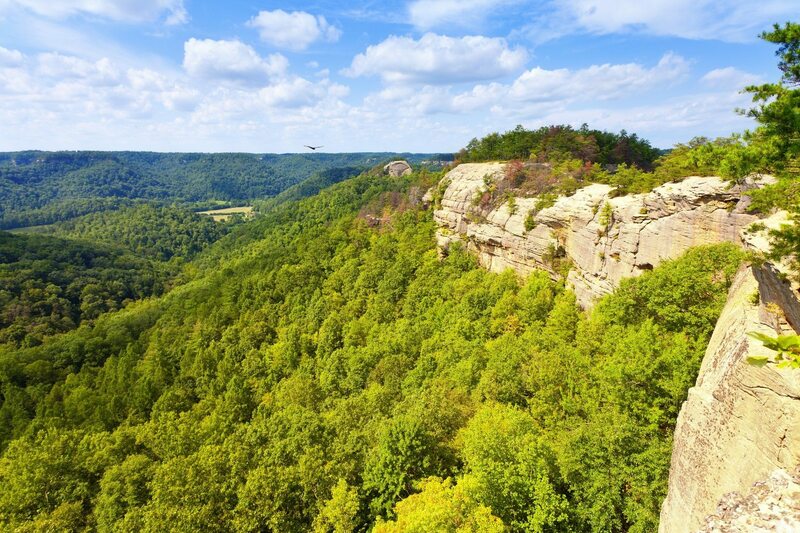 Our cabins are situated throughout Red River Gorge and Natural Bridge State Park. When staying with us you will be just minutes away from popular hiking trails such as Auxier Ridge, Chimney Top, and Sheltowee Trace National Recreation Trail. The Sheltowee Trace trail extends the entire length of the Daniel Boone National Forest including 17 miles in the Red River Gorge, Clifty Wilderness and Natural Bridge State Resort Park. Click to download a PDF map of Red River Gorge.